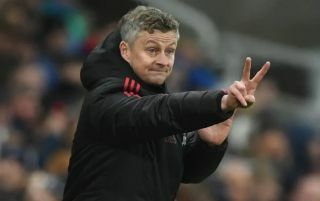 Manchester United’s interim manager Ole Gunnar Solskjaer admits his change in tactics since replacing Jose Mourinho at Old Trafford are likely to be the cause of the team’s current injury crisis. The Norwegian tactician has made the Red Devils into a faster-paced and more attack-minded side since he came in in December, with results improving a great deal in his brief reign so far. However, United are starting to pay for it with injuries, as they saw four players injured in the 0-0 draw against Liverpool at the weekend, with three having to be subbed off before half time. Discussing the problem, Solskjaer admitted he thought it was probably linked to his change in style at the club, as he explained he was keen to have United playing in a way true to their traditions and values. “It’s probably linked, yes,” Solskjaer said when asked the issue, as reported by the Telegraph. It remains to be seen if MUFC can maintain this kind of intensity and if this new-found problem with injuries might dissuade the club from hiring Solskjaer permanently beyond the end of this season.